"The Branson Deaf Appreciation Weekend" PAH! On the Weekend of May 16th, 17th, and 18th, 2008 The Mansion Theatre and The White House Theatre in Branson, Missouri will open their arms to the Deaf and Hard of Hearing communities. This ground breaking event will feature three of Branson's most incredible shows, and two of it's fabulous restaurants. All of which are S.E.E. Certified as "Deaf Friendly"! Deaf patrons from all over the US are invited to see both shows at the Mansion, and have a wonderful meal! Tickets will be $10.00 per show and discount coupons will be given out for the All American Cafe! A portion of that price will be donated to Springfield Missouri's own Deaf Awareness Group. There will also be a Deaf Information booth in the Mansion Theatre lobby. The first show featured will be The Promise - a spectacular Branson play honoring the life, death, resurrection, and ascension of Jesus Christ as you have never seen before. This Broadway style musical about Christ, from creation to crucifixion to ascension speaks to the hearts of all ages. And Celebrate America- a theatrical musical celebrating American Pride and Patriotism. Join us for a walk through time where you will discover that the pride that was felt at the birth of our nation still rings true today. The All American CafÃ© will debut as Branson's first Deaf Friendly Restaurant. American cuisine with a twist! The All American CafÃ© serves lunch and dinner, Catering and group menus available. All-new office center for banquets, Largest chalkboard in Branson for the kids, Weekly dancing features and live entertainment. Dinner $6.00 kids 11 and under FREE) with a portion of all ticket sales going to the Deaf Awareness Group. "This is a very big step in making Branson the only Deaf and Hard of Hearing friendly vacation destination in America." said Randy Boude of Signed Entertainment. Working closely with Affordable Branson Tickets who offer complete Branson packages with absolutely no solicitation! "Now Deaf and Hard of Hearing families across the US can plan a vacation in a place that takes the time to care about their needs". There are an estimated 25 million plus Deaf and Hard of hearing in the US alone. With very limited access to vacation destinations. Signed Entertainment Enterprises is working to change all of that. Starting with Branson Missouri, they have found innovative ways to achieve equal access for the Deaf and Hard of Hearing. "We hope that Deaf Appreciation Weekend will be a great success." "We applaud the efforts of these incredible Branson establishments on becoming S.E.E. Certified as Deaf and Hard of Hearing Friendly". Say's Randy. "This opens up doors that until now have been all but sealed shut". For ticket information please go to www.see-entertainment.com. And click on the "Affordable Branson Tickets" icon. SO COME ON OUT AND ENJOY THE FUN AT THIS HISTORIC FIRST ANNUAL EVENT! 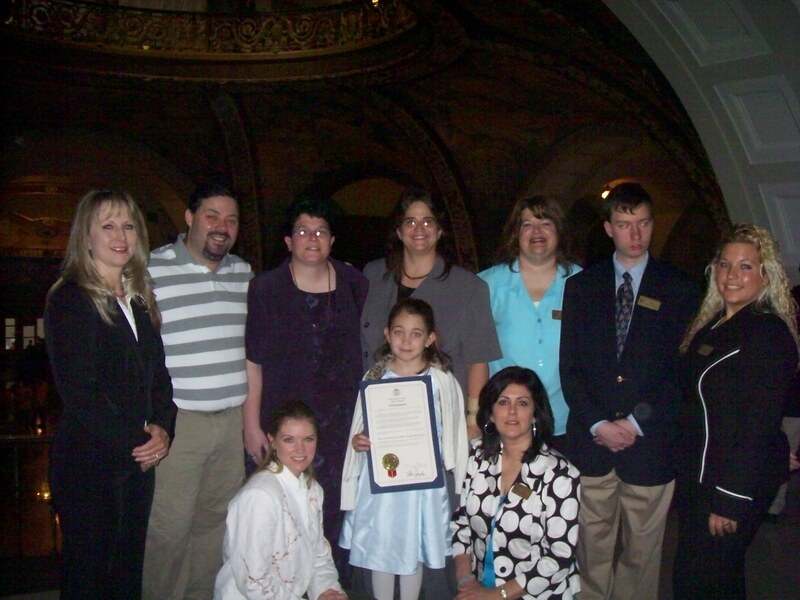 Missouri Governor Matt Blunt declares April, 2008 as Missouri "DEAF AND HARD OF HEARING AWARENESS MONTH" !!! Governor Matt Blunt signed a proclomation (drafted and submitted to the governor's office by Randy Boude of Signed Entertainment Enterprises) officially declaring April 2008 to be "Missouri Deaf and Hard of Hearing Awareness Month". In his proclamation, the Governor specifically cited the stated intentions of the collective business community of Branson, Missouri to become certified as the first official Deaf Friendly city in Missouri and, in fact, the entire United States! Come on, Branson business community, "Show Us" the way!